Clarence (C. Rea) L. Rea age 61 of Webb City passed away on Thursday, March 28, 2019 at Mercy Hospital in Joplin. He was born on August 30, 1957 in Joplin, Missouri to Royal B. Rea and Thelma (Davis) Rea. C. Rea was a very caring and loving person who loved to do odd jobs for many people in the area for many years. He was willing to do whatever was needed and would help anybody in need. 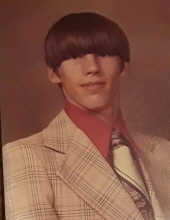 C. Rea is survived by his sisters, Brenda Nally and husband Jerry of Carthage, Vickie Beeching and husband Melvin of Joplin; and a son, Brett Rea; along with several other family members and friends. He was preceded in death by his parents, brothers, Danny J. Rea, Dale W. Rea; and a sister, Barbara A. Rea. C. Rea has been taken for cremation as he wished and the family will have a memorial visitation on Tuesday, April 2, 2019 from 6:00 PM to 7:00 PM at the Kingdom Life Fellowship, located at 305 North Webb Street, Webb City, Missouri. The family will have a private interment of his cremated remains at stone cemetery at a later date. Cremation arrangements are under the direction of Simpson Funeral Home in Webb City. Visit www.simpsonfh.com for online condolences. To send flowers or a remembrance gift to the family of Clarence L. Rea, please visit our Tribute Store. "Email Address" would like to share the life celebration of Clarence L. Rea. Click on the "link" to go to share a favorite memory or leave a condolence message for the family.